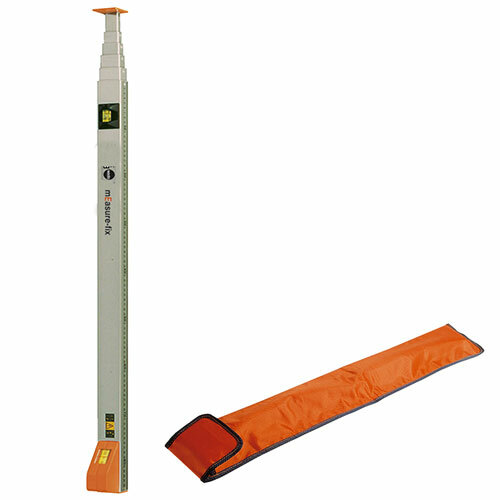 The Nedo measure-fix is a thoroughly tried-and-tested telescopic rule, which is designed to measure the widths of openings. Simply place the measure-fix in position, pull out the extending sections and read off the measurement from the analog display. Thanks to its ease of use, reliability and sturdiness, the Nedo measure-fix has become in-dispensable in most skilled trades, such as window frame making and interior outfitting. Very sturdy and works well, it even sounds solid when you use it.